We test out the best sellers of April, 2019! 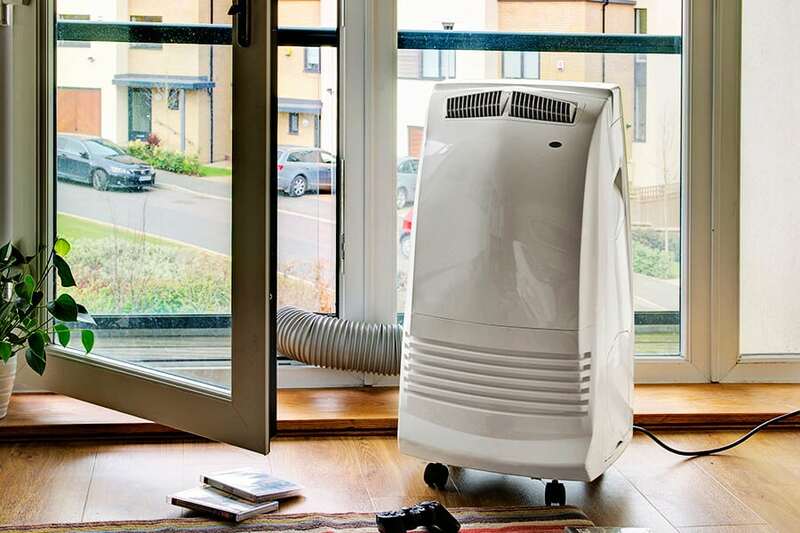 In the depths of winter, it can be hard to imagine needing an air conditioner. But at the height of summer a hot, stuffy house can be very uncomfortable, and make it impossible to sleep. 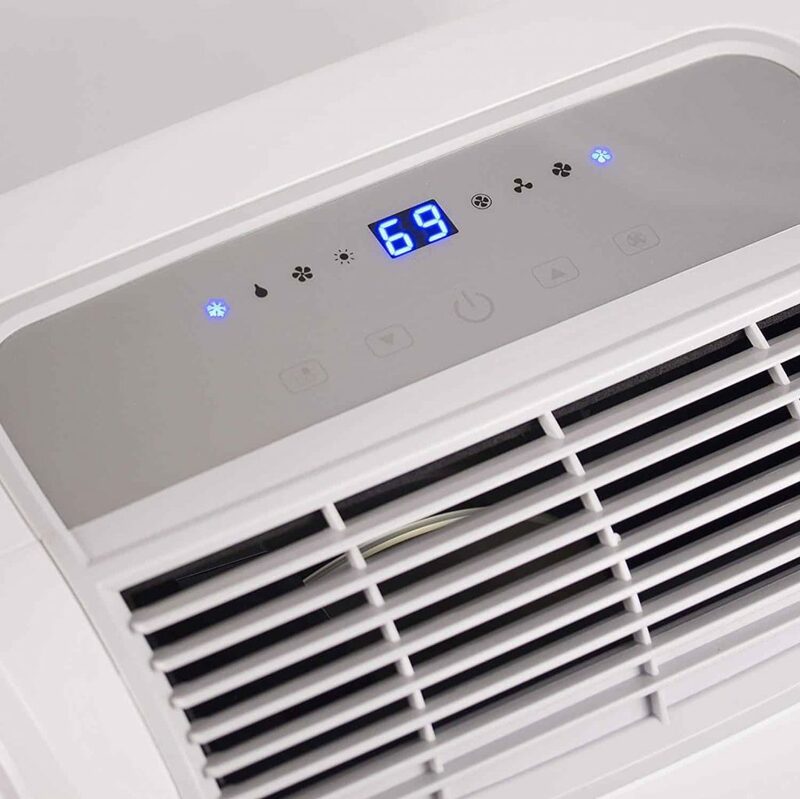 Air conditioning units make the uncomfortable – comfortable. 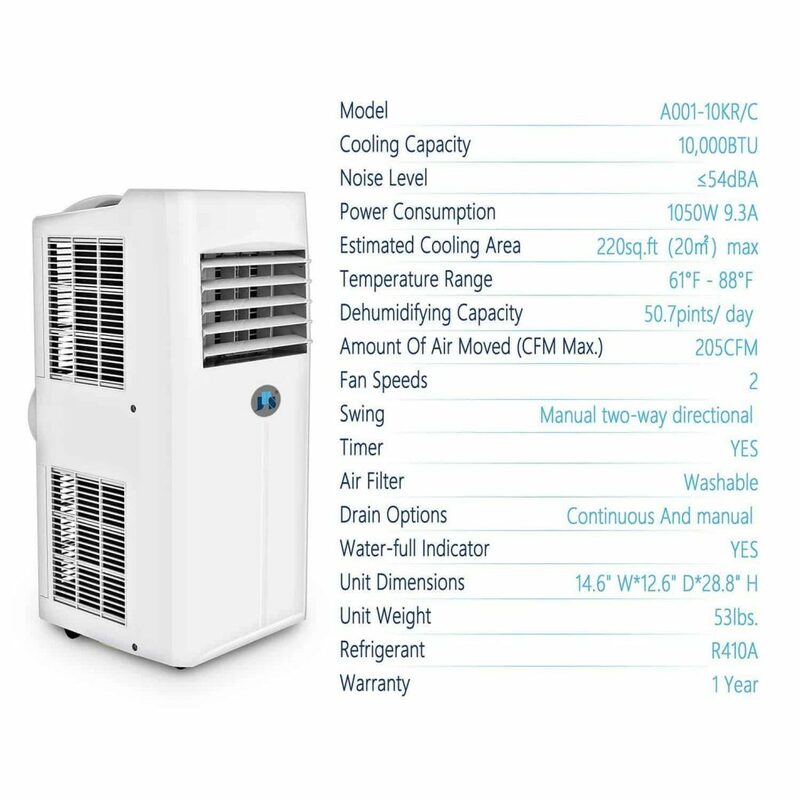 The wealth of air conditioning units out there can be bewildering, all with different features and qualities – so if you want one that’s portable, what do you look for? 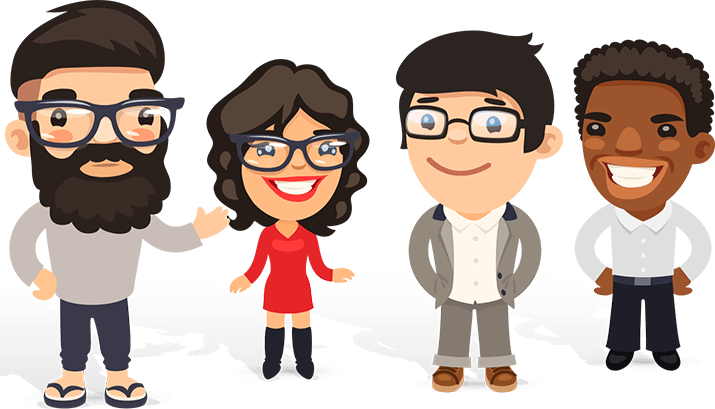 Fixed units are undoubtedly more efficient, but much less versatile than the portable version, and that’s the beauty of being portable – it’s portable. 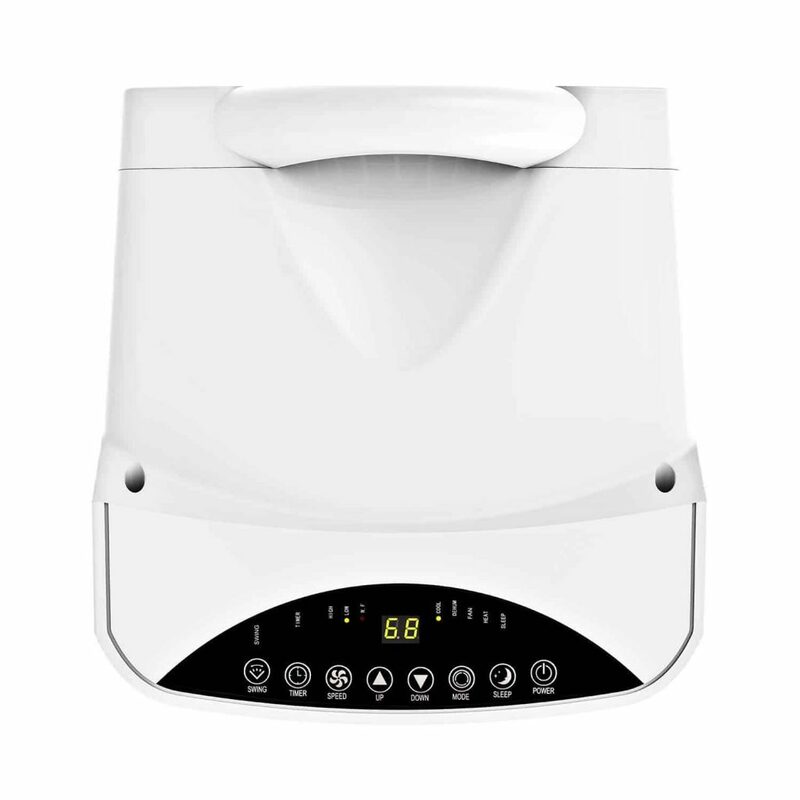 You only need one unit and can move it wherever you want; in the bedroom at night, the living room for daytime or evening freshness, or the kitchen if you’re rushing around cooking for the family – anywhere. Firstly, though, make sure the unit that you choose isn’t too heavy for you, and that the handles are comfortable. 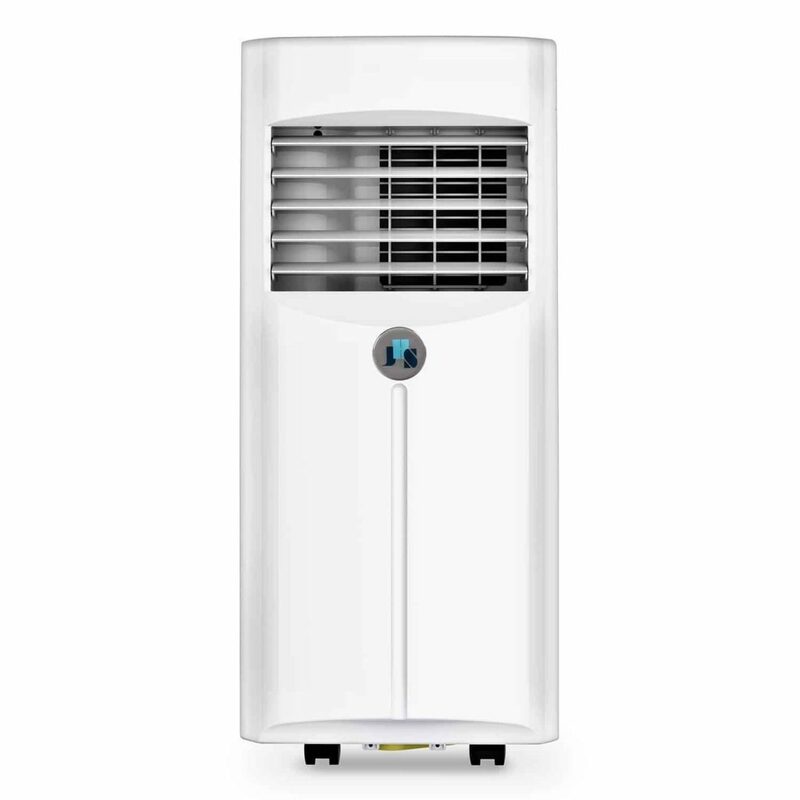 An air con unit’s output is measured in British Thermal Units (BTU) – the higher the number the more efficient the unit is. 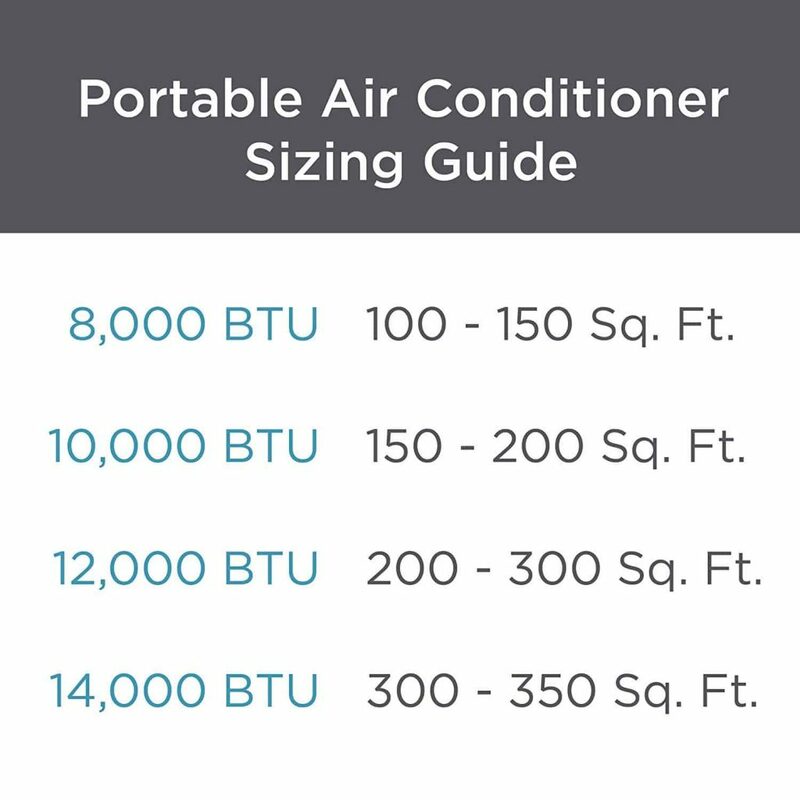 As a general rule, 5,000 to 8,000 BTUs is adequate for most living rooms or bedrooms. So, what features do you need? 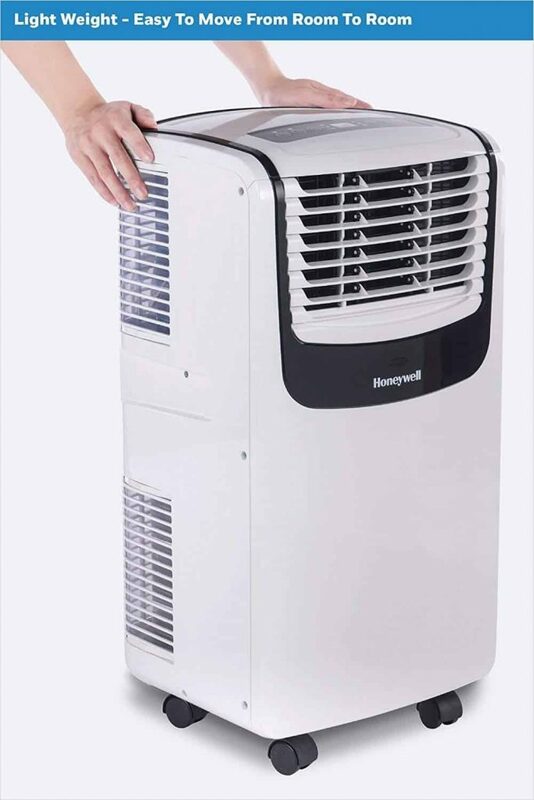 Many models have a variety of optional functions which can include a sleep mode – this reduces the noise by running the compressor and fan more slowly, a dehumidify setting, or a heater option. 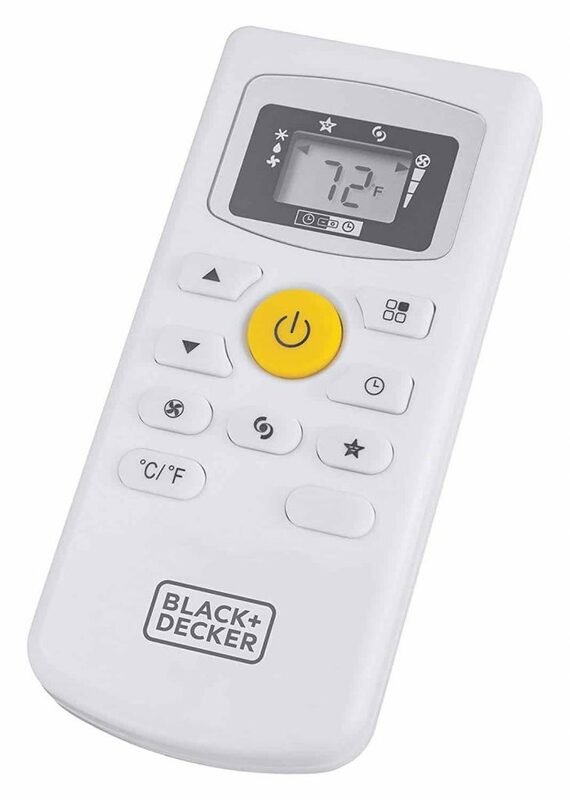 They often include a timer, allowing you to set the unit to switch off or on at a certain time, a thermostat or have remote control ability. As this arrived lying flat, we had to stand it upright for 24 hours before using; this allows the coolant to settle. We were expecting a neat, compact air con unit and that’s what we got. It’s easily moveable, and light enough to carry upstairs, but also feels solid and well constructed. The instruction manual is very clear, with diagrams and labelled photos. Immediately, upon switching it on, we noticed a difference to the room temperature. 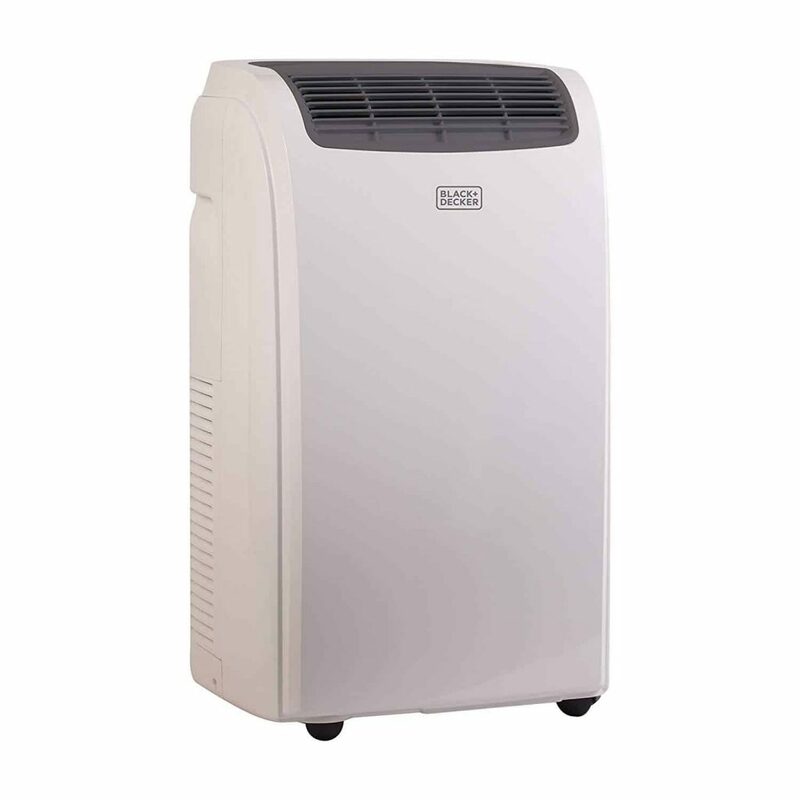 This air conditioning unit comes with a heating and dehumidifying function, which makes it nice and versatile. It runs almost silent and isn’t intrusive size wise either. 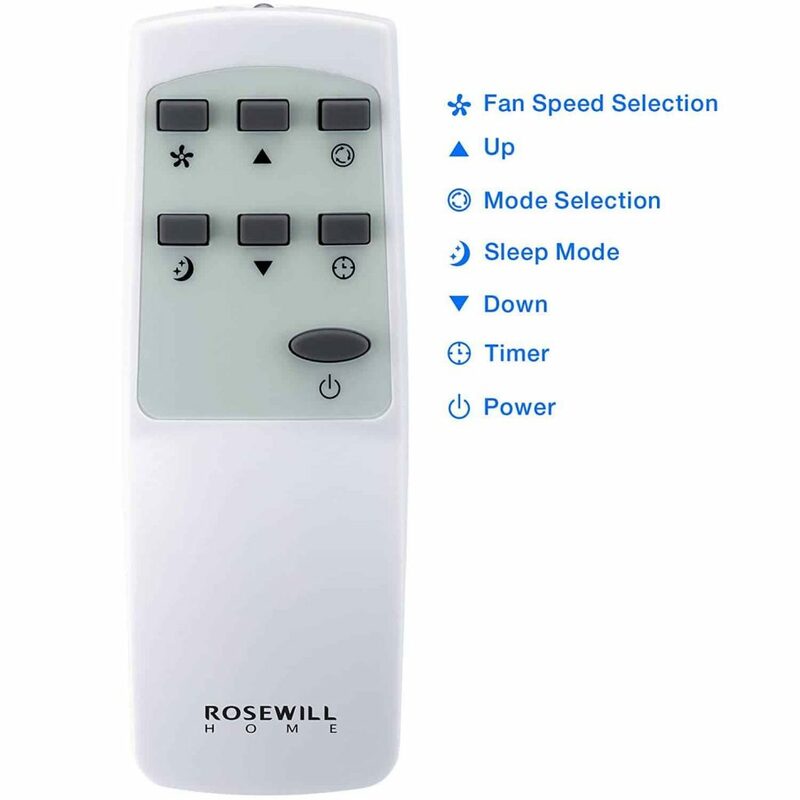 The controls are responsive, and the remote unit is a great idea, especially in the bedroom at night. Moving it around is simple – it’s light enough to carry one handed up the stairs. 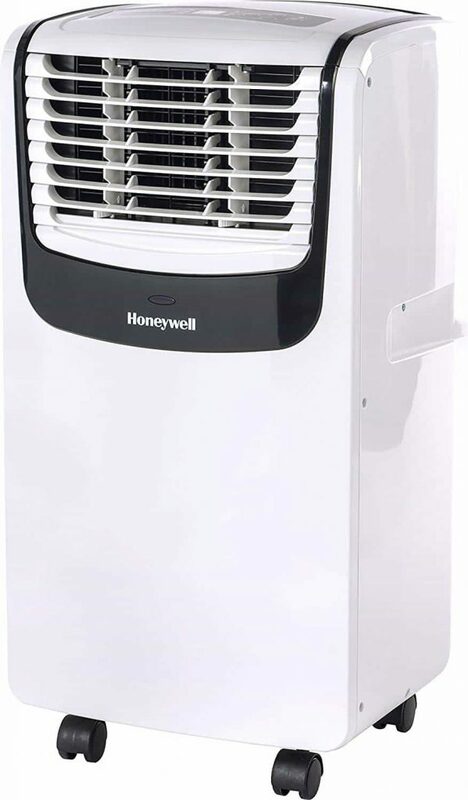 This air conditioner works best for rooms sized approx 100-150 sq feet. 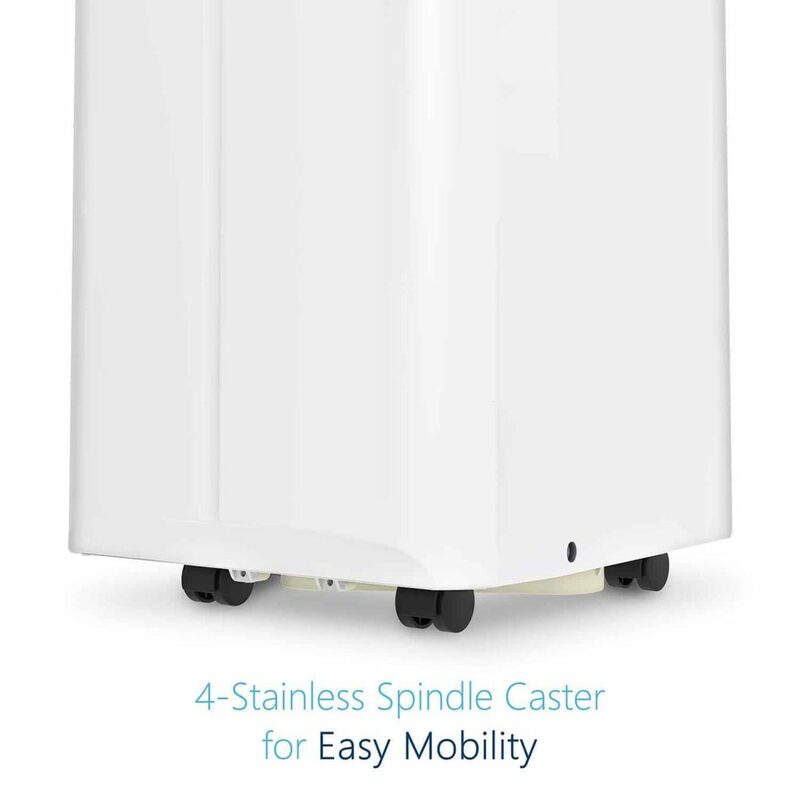 There are 4 x castor wheels, which make it easy to move from room to room. The 24 hour timer is useful for ensuring that the machine is only on when you need it. Cleaning the filter out was a doddle; we only had to do it once a fortnight, and it just rinses under the faucet. 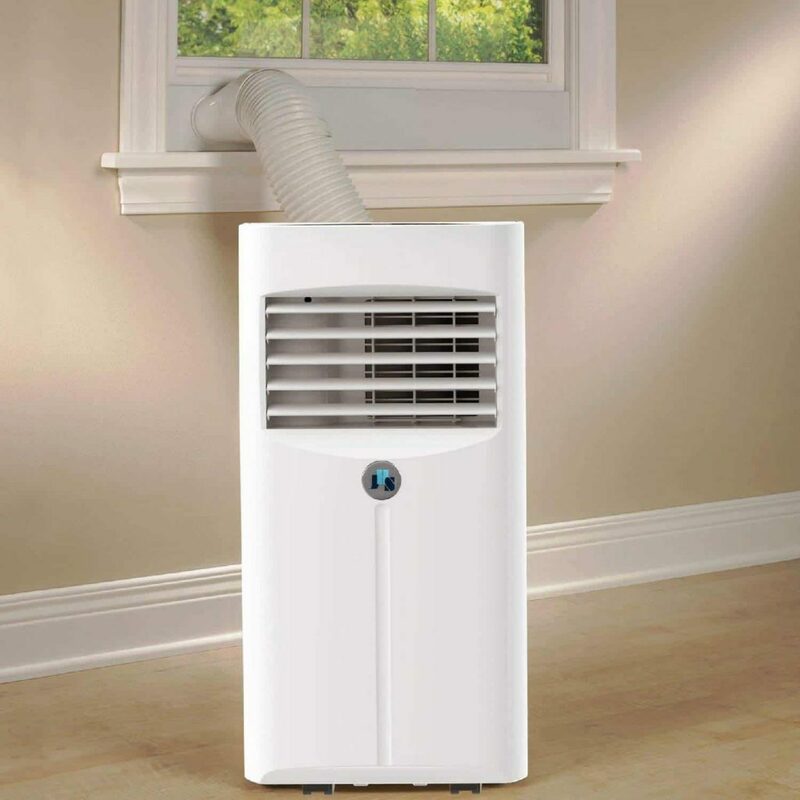 This is an eco-friendly air-conditioning unit. The LED is a little bright at night, but we very soon got used to the slight blue light, and actually found it quite comforting. 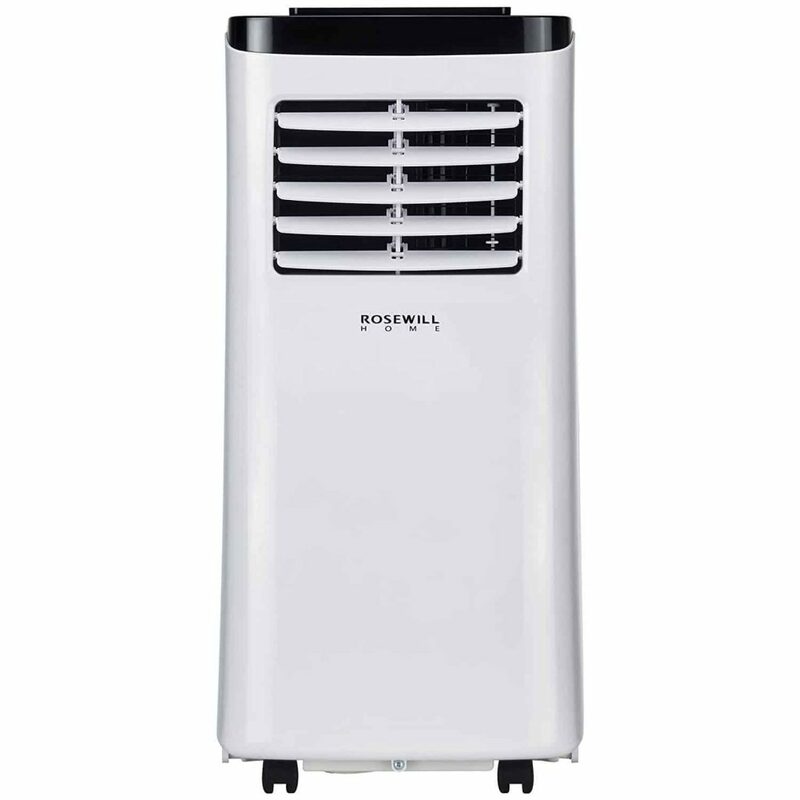 If you are looking to purchase a great, effective, easily portable air conditioner, seriously consider this one. 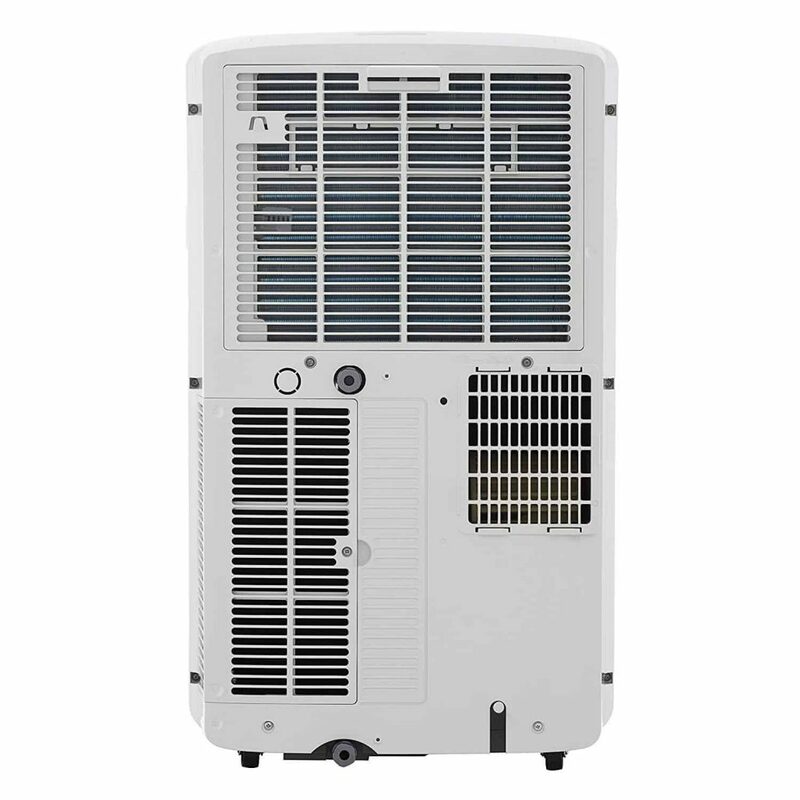 The JHS air conditioning unit is another of our top picks. We love that it’s portable, and with the carrying handles, can be easily taken upstairs. There is a WiFi version available too. The installation was much easier than the manual made it look, and we were soon up and running. 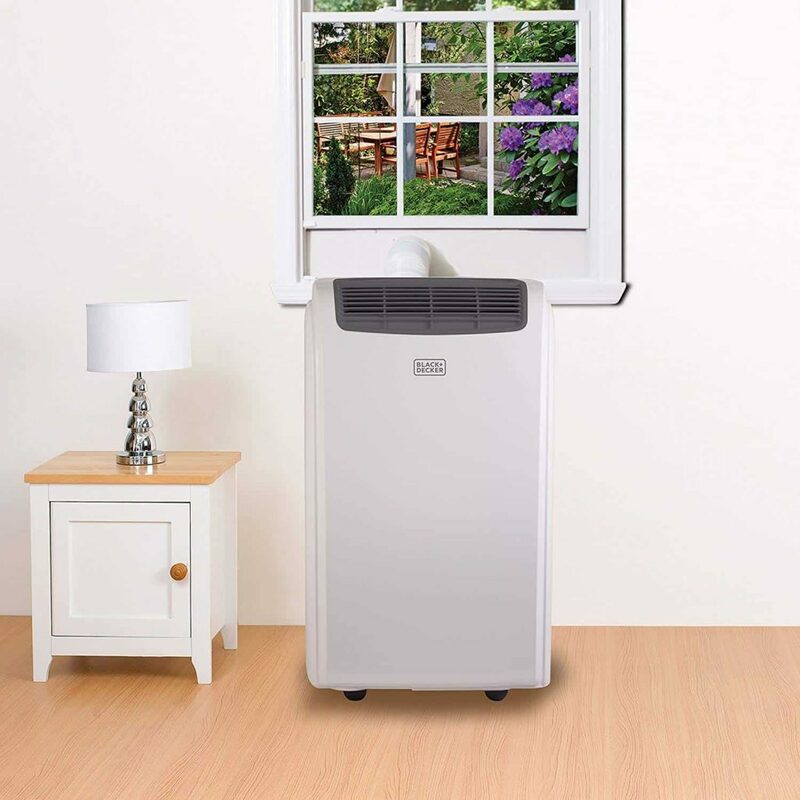 This unit is powerful enough to cool a large area (around 220 sq feet), and although we had it in the living room, the kitchen beyond also felt cooler. 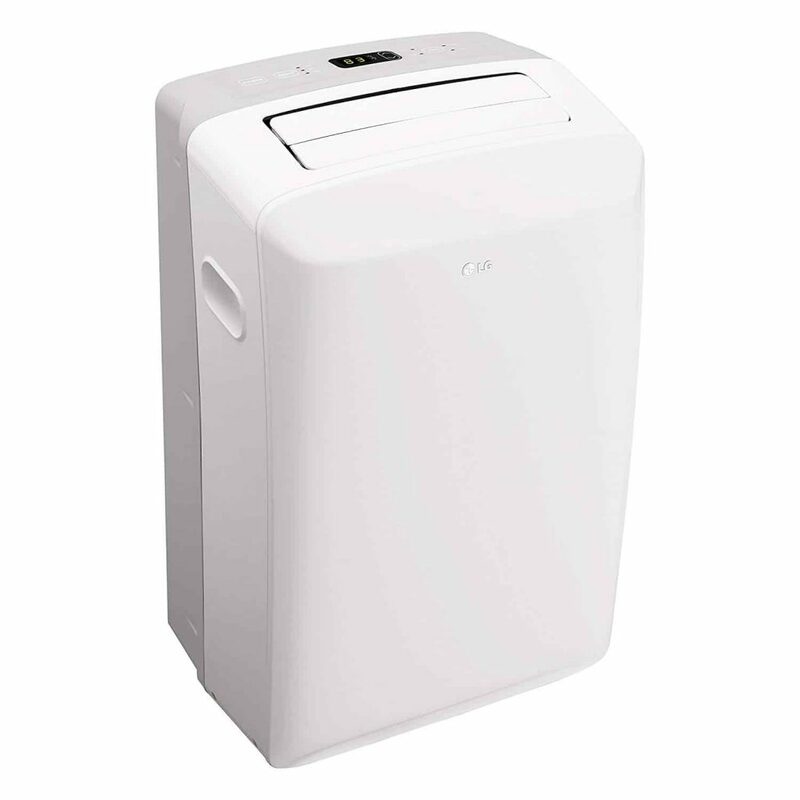 The unit has 3 x modes (air con, fan, and dehumidifier). The sleep mode is great – it purrs away nicely and doesn’t hinder a good night’s rest at all. When not in sleep mode, this does run a little loud, but it’s not distracting or interfering at all, we were just aware of it going. 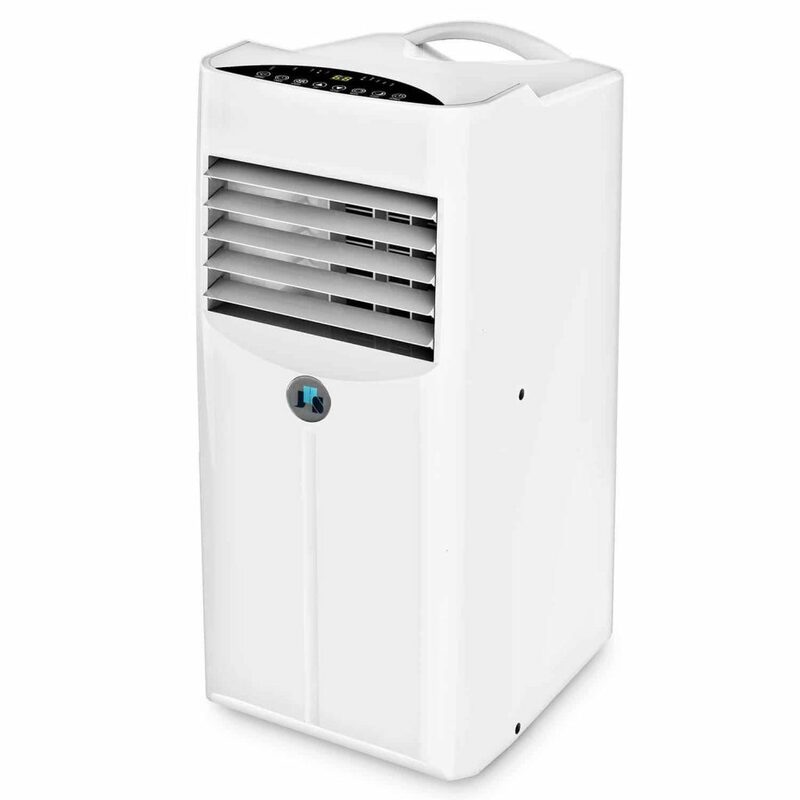 This is an easily portable, effective air con unit. 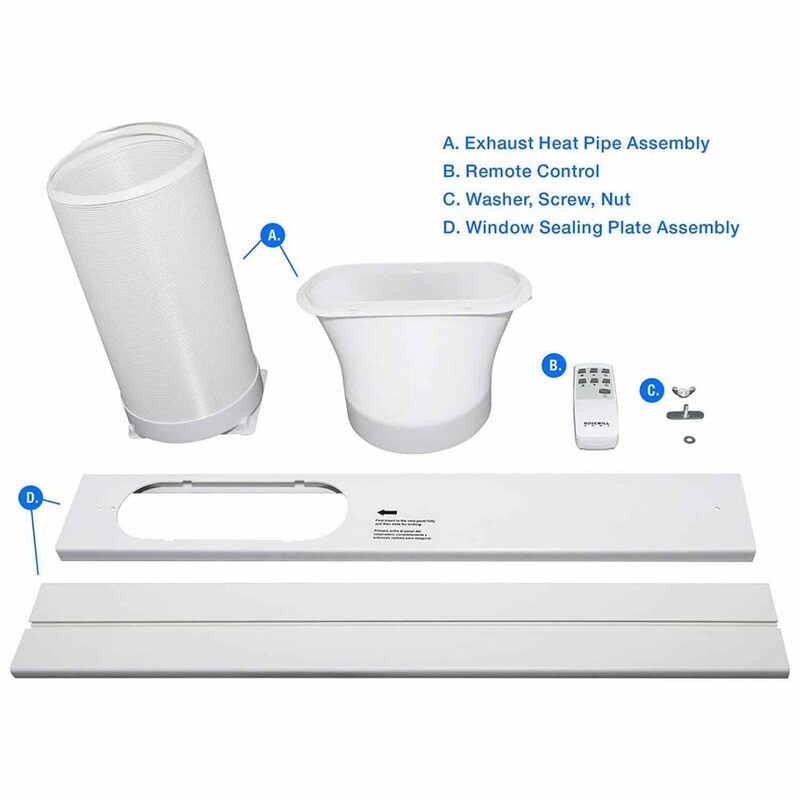 It’s simple to install and we’re happy to recommend it. SMART CONTROL VIA MOBILE APP Perfectly control with JHS Smart app whether you're a hundred miles away or a few feet away on the couch. Forget to turn it off before you left the room? Simply check the app and switch it off from wherever you are. No more wasted dollars. 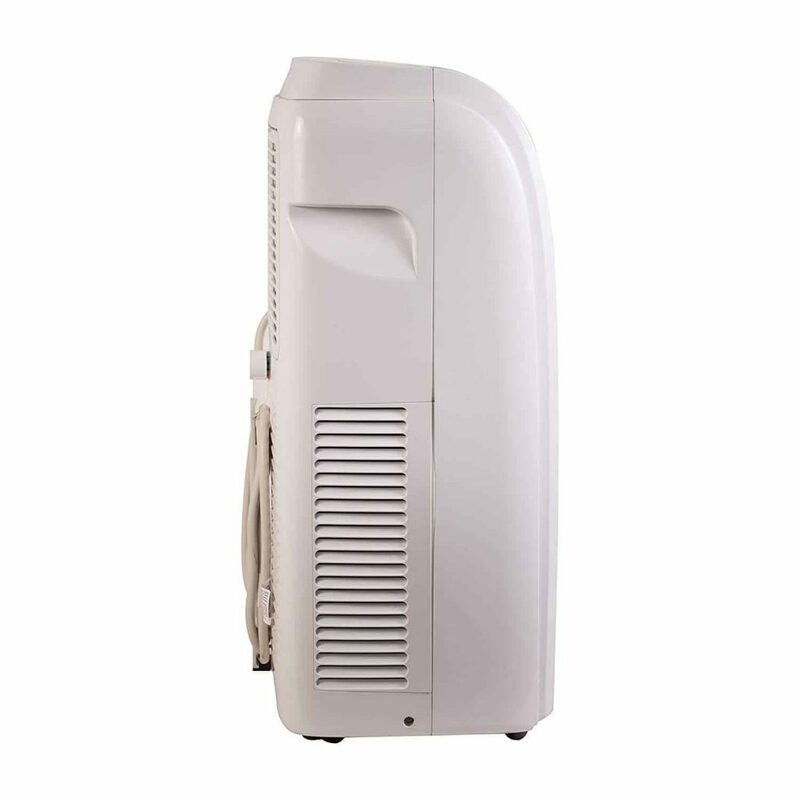 This quality portable air conditioner doubles as a dehumidifier and is an essential for any home or office. 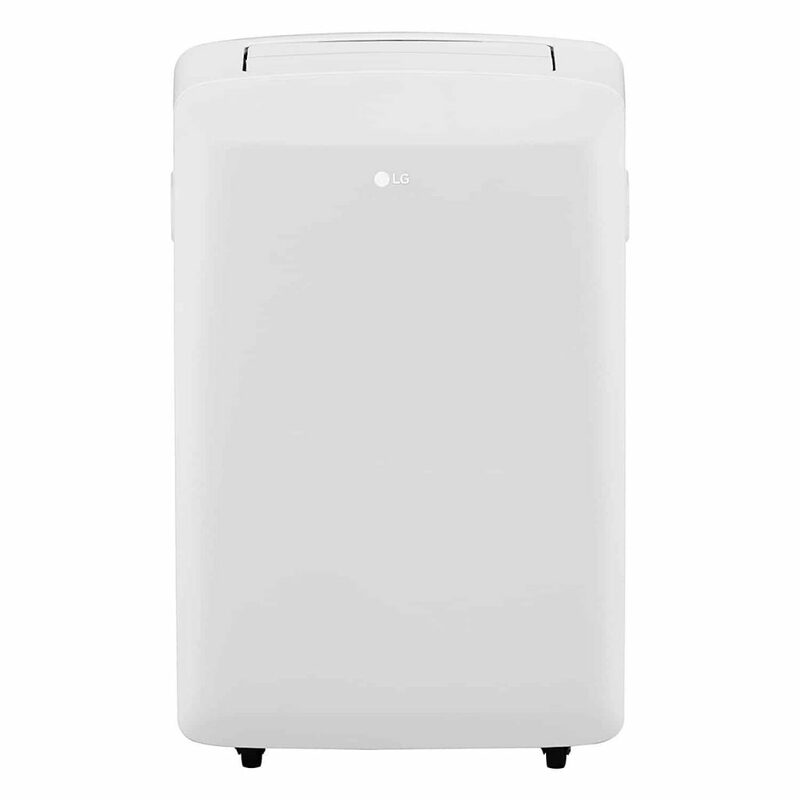 It’s small enough to sit in the corner of the room, keeping your air chilled and de-humidified throughout the day. 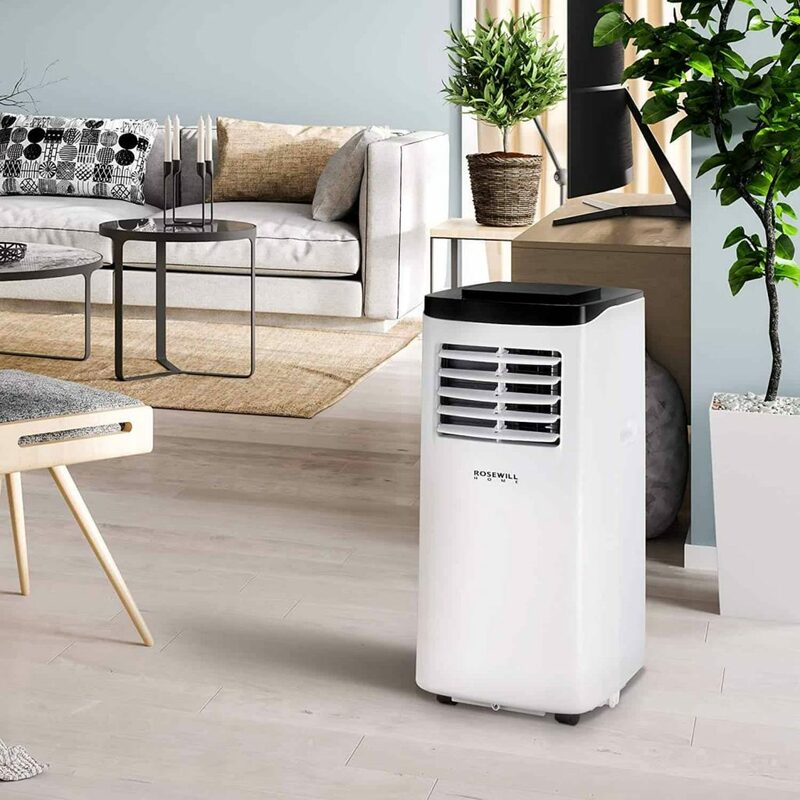 We like the fact that this little unit does what it says – it effectively conditions the air around you so that you feel comfortable for hours. 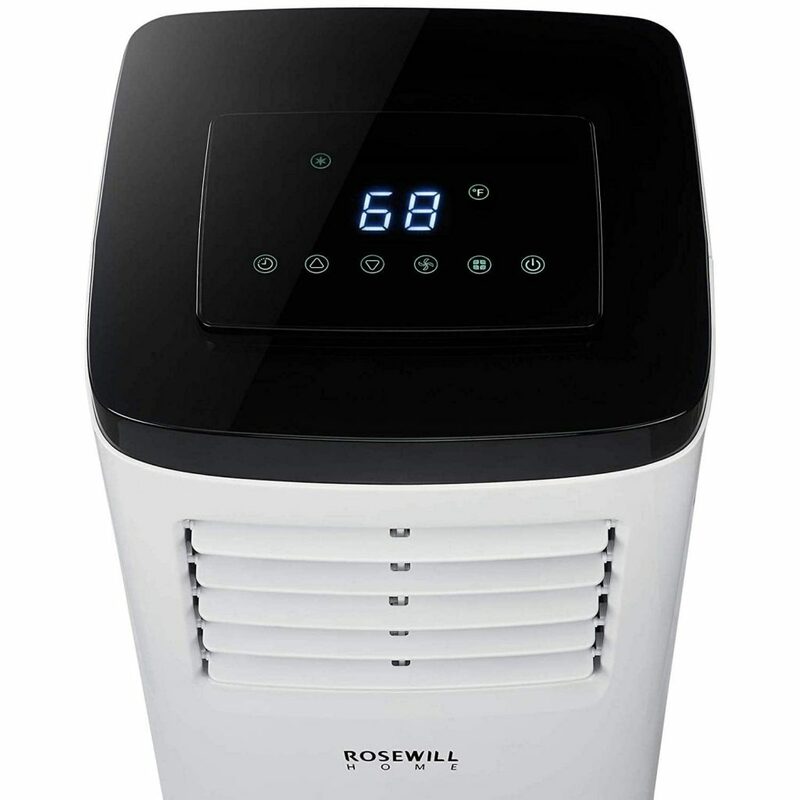 This is an economical unit that won’t be able to cool entire rooms, but if you need a fast fix or a unit that can keep you comfortable working long hours in a stuffy room, the Rosewill is a lifesaver. 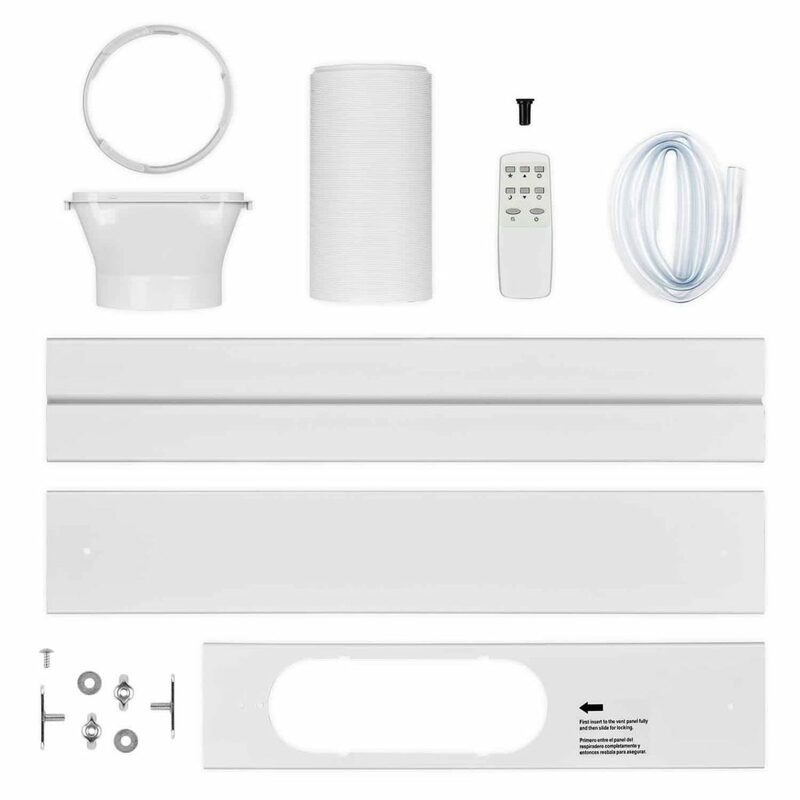 It plugs in via USB (extremely convenient) and lasts up to 6-hours on a single tank of water. We couldn’t find anything to fault with this sleek portable cooler. 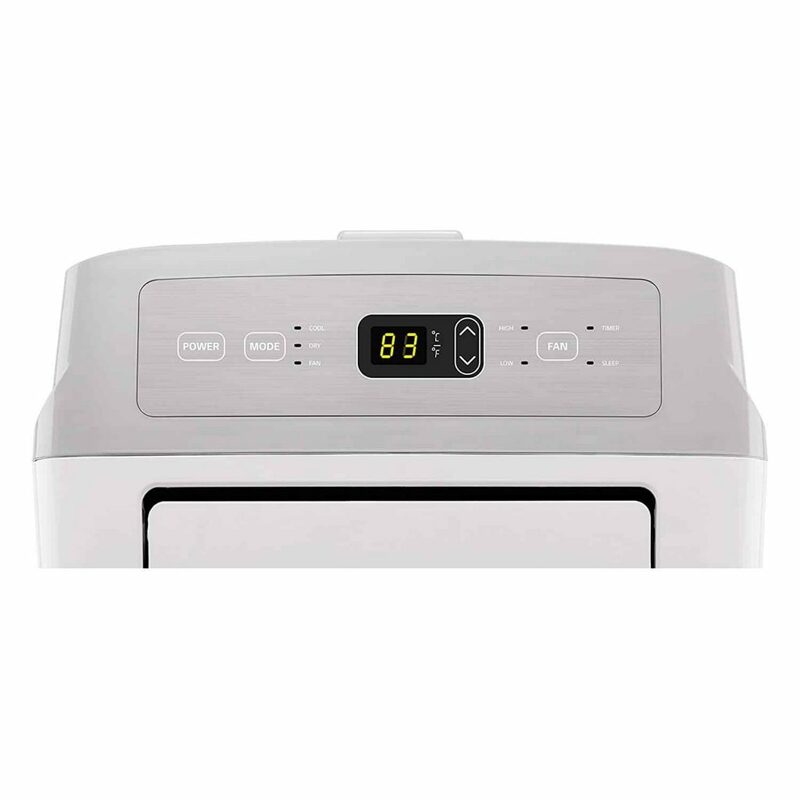 It’s smart, effective and exceptional quality for the mid-range price tag. 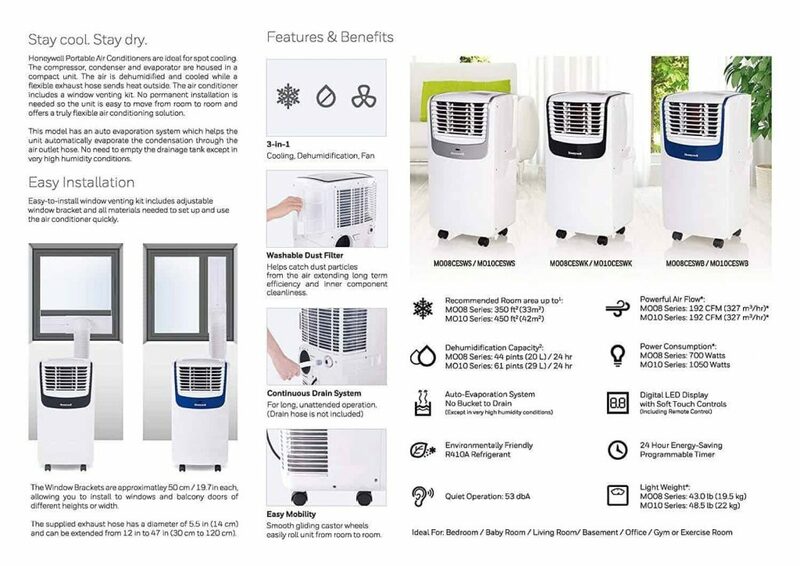 A compact, effective portable air conditioner for personal use that will keep you comfortable throughout the year. 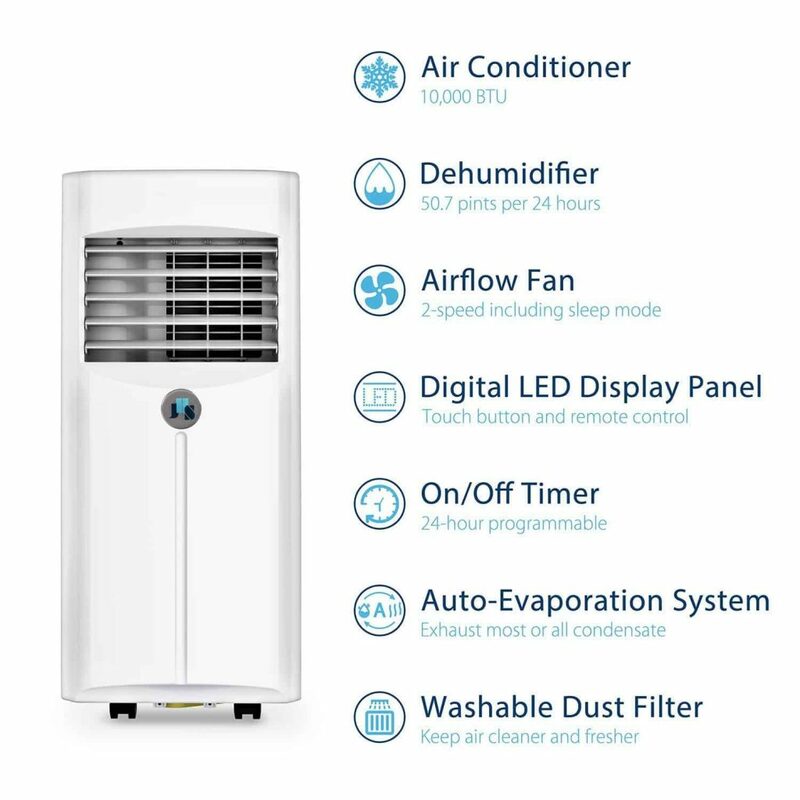 3 CONVENIENT MODES: Use as an Air Conditioner, Fan and Dehumidifier with built-in continuous drain design and effective cooling for spaces up to 300 square feet. 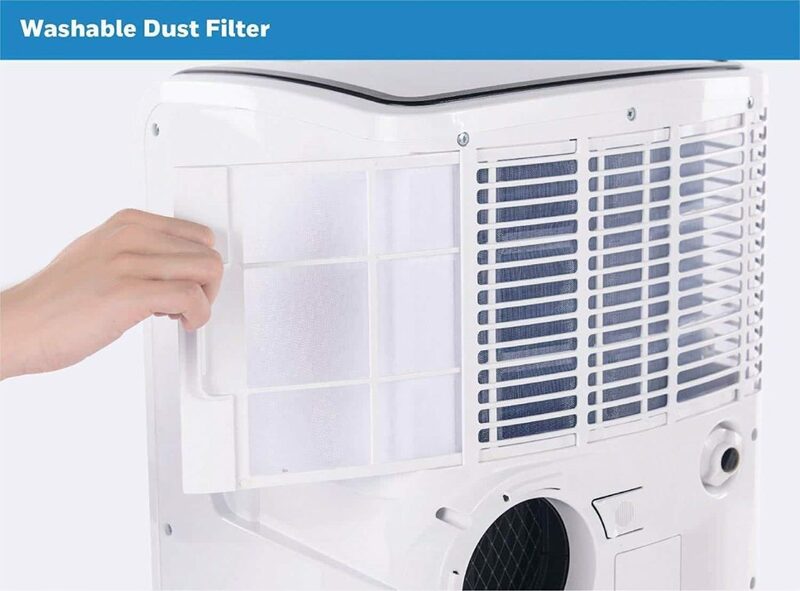 Includes washable dust filters to trap dirt and debris before they build up, improving indoor air quality and AC unit life span. 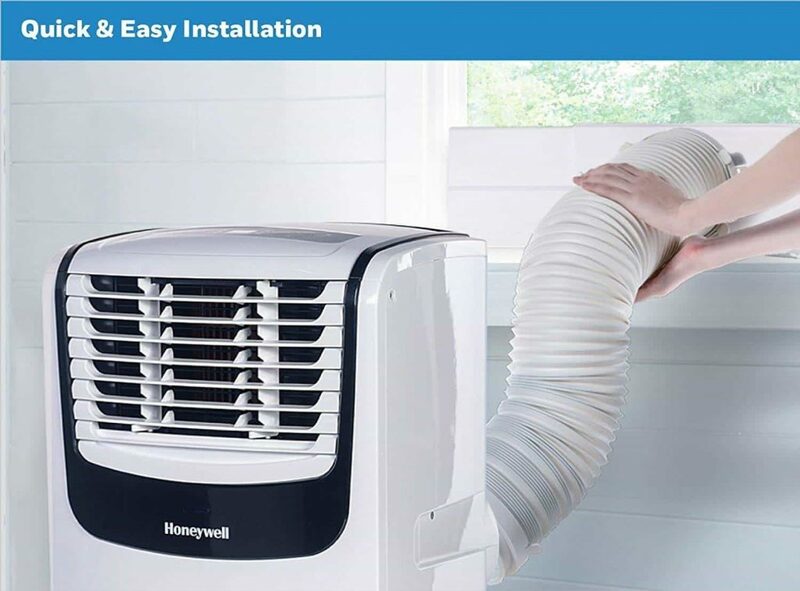 This is a chic air con unit; it’s easy to maneuver around, the hose is incredibly flexible and a good length, and the instructions look simple. If you have a larger space to cool (around 550 sq ft), this is the one for you. It rapidly cooled the entire ground floor of our house, so we took it to the open plan office to give it a proper work out. The nearly 600 sq ft area felt much cooler within 20 minutes – awesome. It moves like a dream and is lightweight enough to carry easily up stairs. 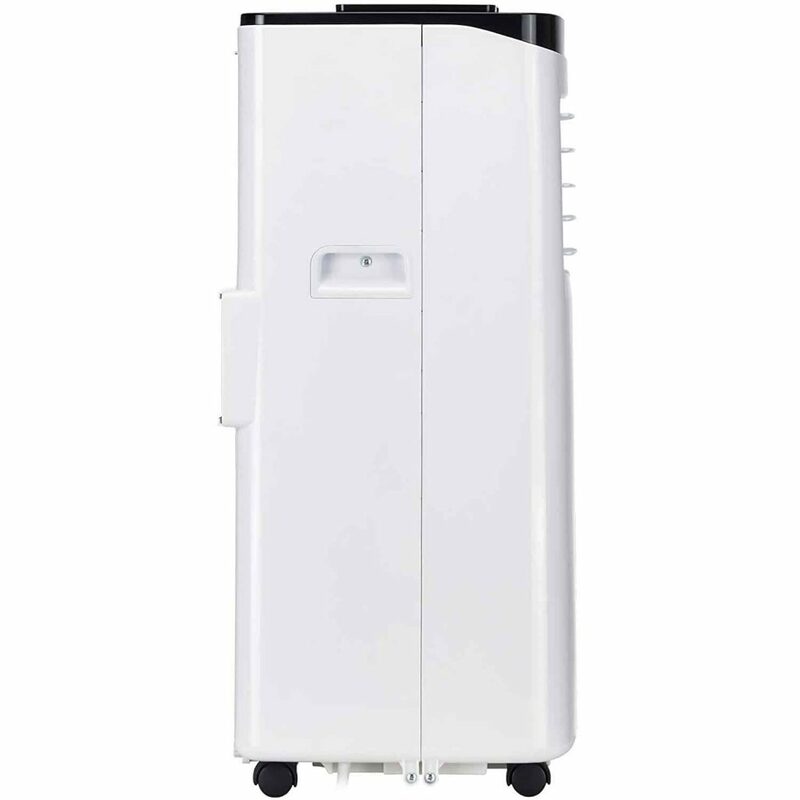 There is an auto-evaporation system, which means no water tank to empty! 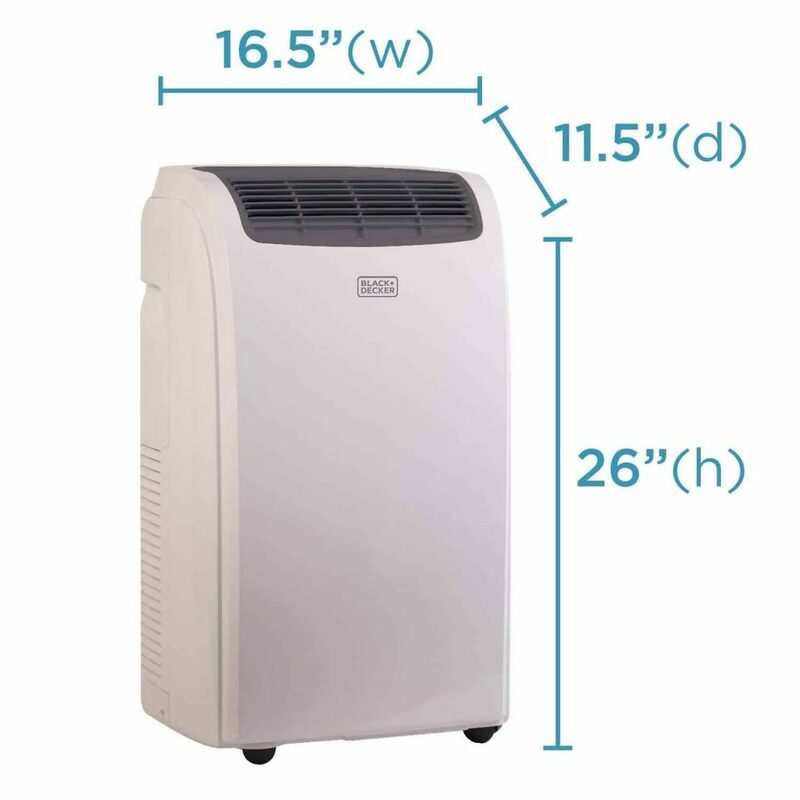 This unit comes with a humidifier. We didn’t notice anything untoward with this portable air conditioning unit. It performs well and looks stylish in any space. Our only observation is that it does make a slight hum but that gets drowned out by every day noise. 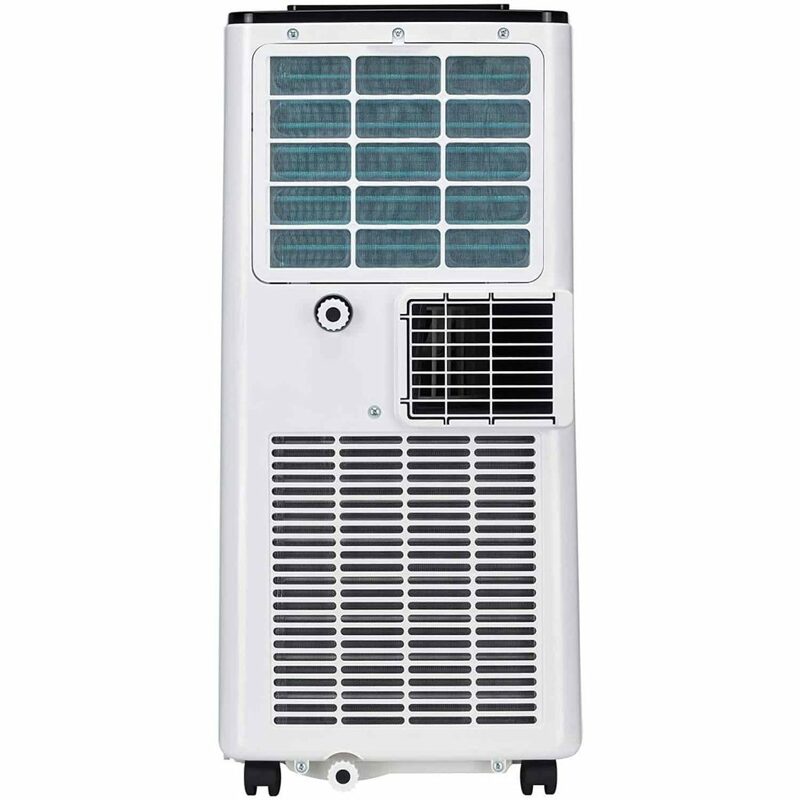 A super air conditioner, very quiet, very efficient, and not too intrusive size wise. This is a neat little unit. It’s easily portable, sturdy, and arrived with a couple of spare parts to store away for if we ever need them. The instructions look great – nice and simple. This works really well, although designed for a smaller space than the others tested, but even so, the bedroom was lovely and cool to sleep in. 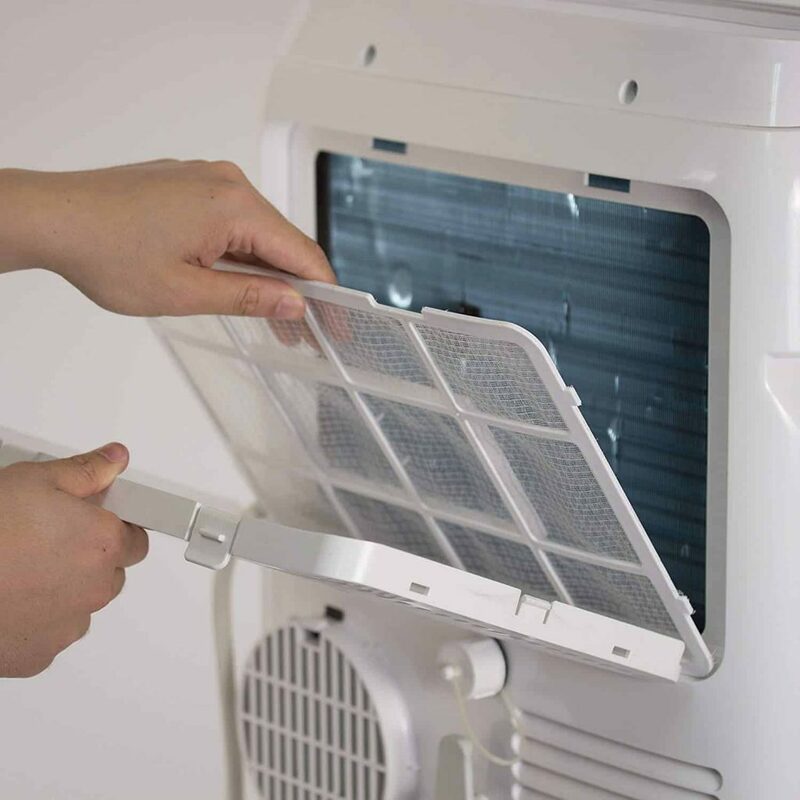 The auto swing air vent is an ingenious idea, meaning that there are no hotspots, and the cool air is distributed evenly throughout the room. 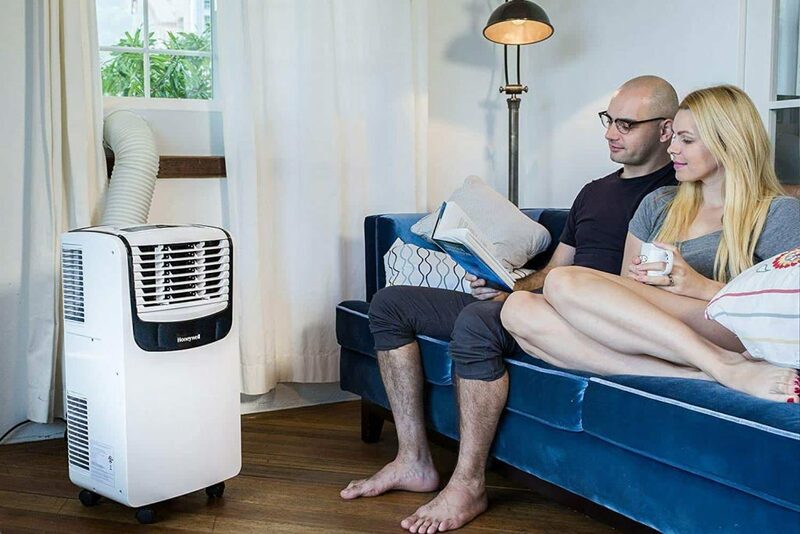 This air conditioner can effectively cool around 150 sq feet. 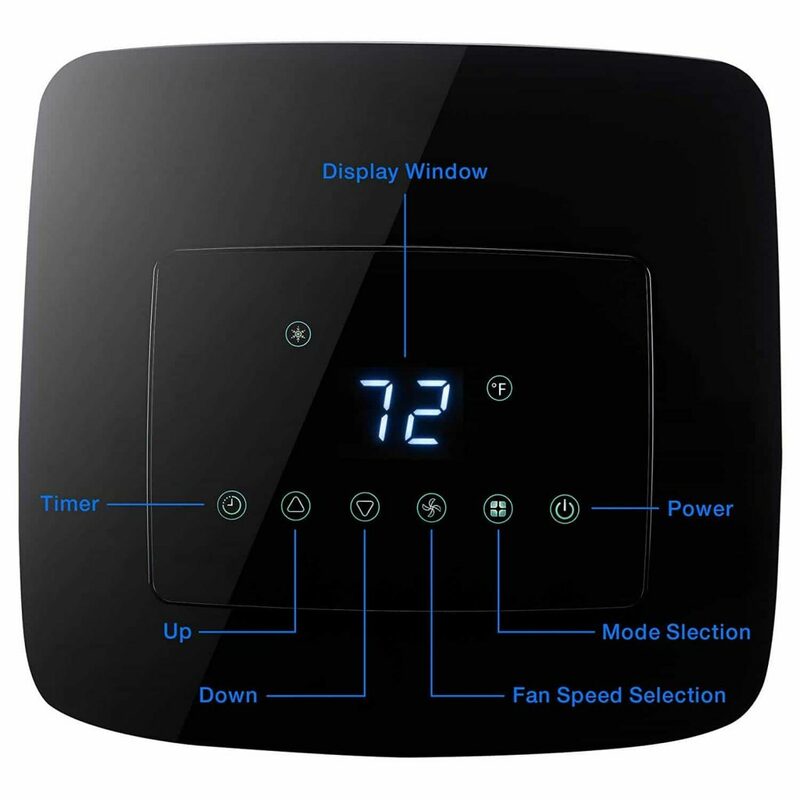 It also comes with a 24 hour programmable timer for convenience. This is the loudest one we tried and works as background white noise to send up to sleep. It’s not intrusive, but you can hear it from the room next door. 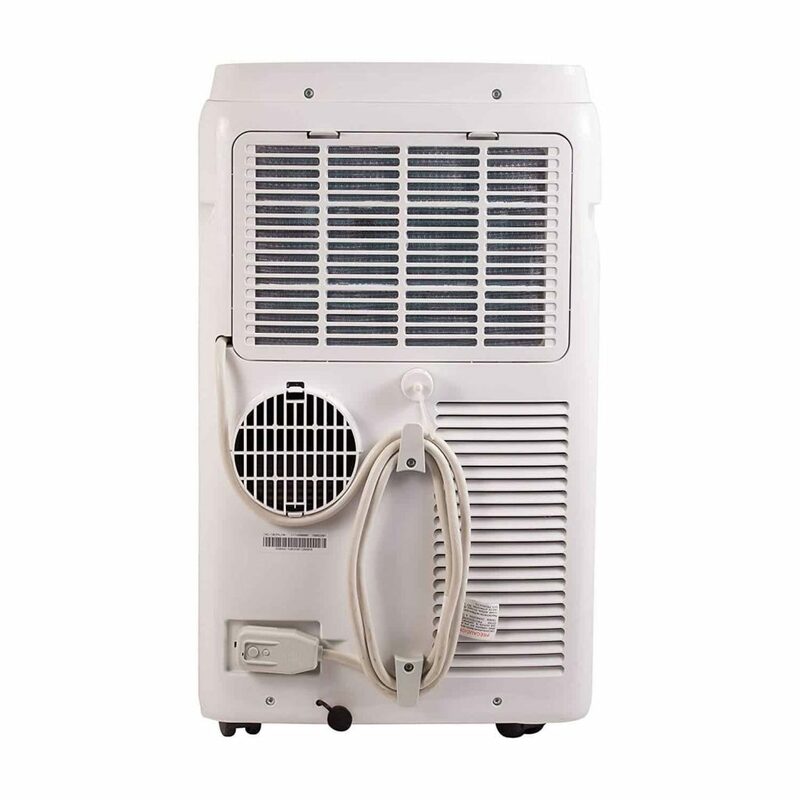 If you have smaller rooms to cool, this is a very good air conditioner. It’s light enough to move easily, cools efficiently, and being slightly cream in color, blends in better than some of the stark white models. 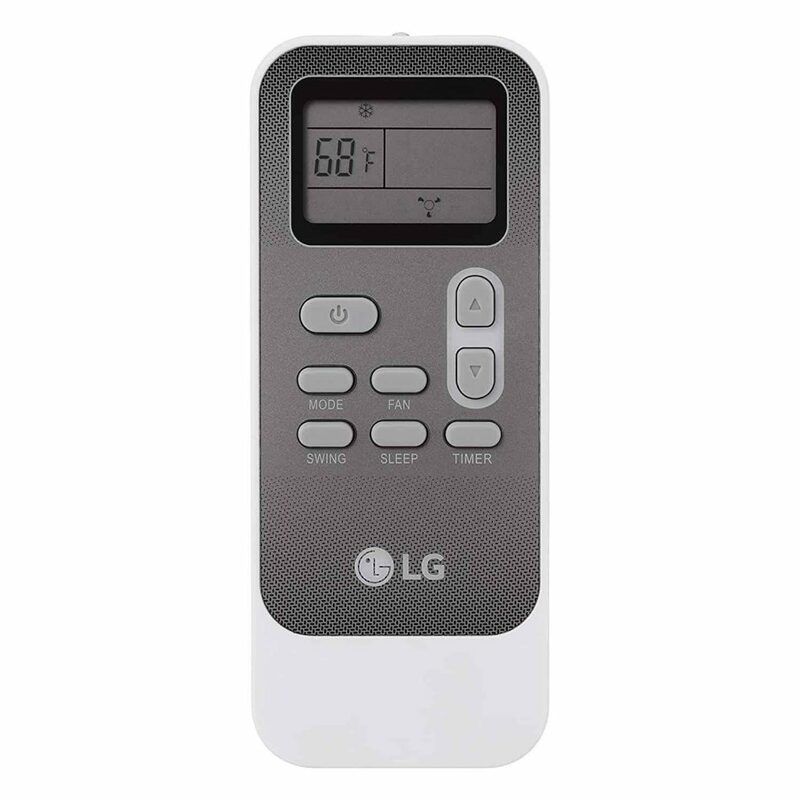 It's a little louder than other models we tested, but with LG you can trust you're getting a quality product. Happy to recommend.